It is true that the Internet is not filled only with beautiful things, but there is plenty of excellent material to compensate for all the bad ones. I’ll not get into this long, unending discussion, because after all, I believe it depends exclusively on what each person is looking for. I, personally, am grateful for several things I got access to thanks to the World Wide Web and one of these is the possibility of discovering and viewing short films, something that would be almost impossible otherwise. And I had the chance to see quite a few of these awesome little movies. The latest little gem I stumbled upon is ROSA, a short sci-fi movie created by Jesús Orellana, a Spanish comics artist, in more than a year of work and without a budget. 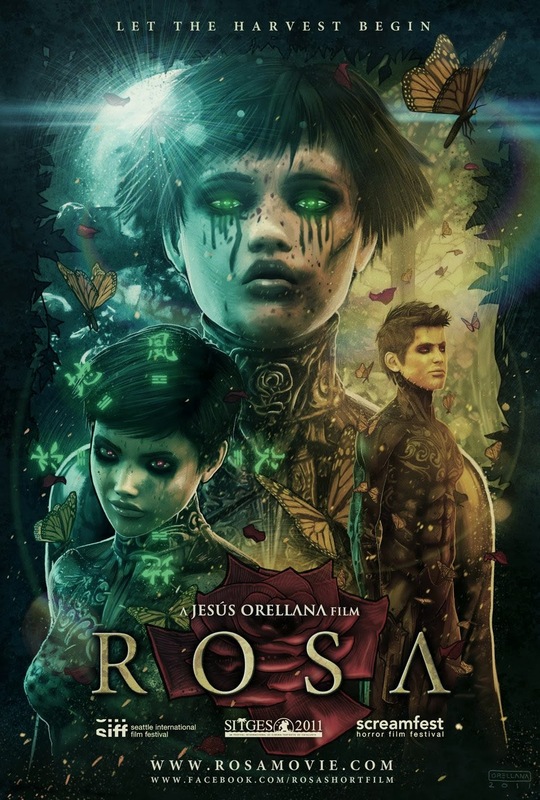 Since its premiere in 2011 ROSA took the world by storm, it was screened in the opening night of the prestigious Sitges International Film Festival, it was nominated at the 26th Goya Awards for the Best Animated Short Film and it was optioned for film by 20th Century Fox, being adapted into a Live-Action Feature directed by Jesús Orellana with a script based on the original story and that expends the short movie. More information about Jesús Orellana and his short movie, ROSA, can be found on the artist’s Deviantart page, Twitter account, movie’s website or Facebook page. ROSA is an epic sci-fi short film that takes place in a post-apocalyptic world where all natural life has disappeared. From the destruction awakes Rosa, a cyborg deployed from the Kernel project, mankind’s last attempt to restore the earth’s ecosystem. Rosa will soon learn that she is not the only entity that has awakened and must fight for her survival. Jesús Orellana was born in Tarragona, Spain in 1981. He has worked in several graphic-novel projects for french publisher "Les Humanoides Associes". In 2009 he started developing his first short film ROSA. Now he is in pre-production of his first feature film. Jesús currently lives in Barcelona with his partner, artist Maria Llovet. I’ve talked on several occasions about my love for Carole Lanham’s “The Whisper Jar” and my eagerness to read her debut novel, “The Reading Lessons”. Finally the time to dig into the pages of “The Reading Lessons” has come, Carole Lanham’s novel was released on January, 9th by Immortal Ink Publishing and I have already started nibbling between its covers. 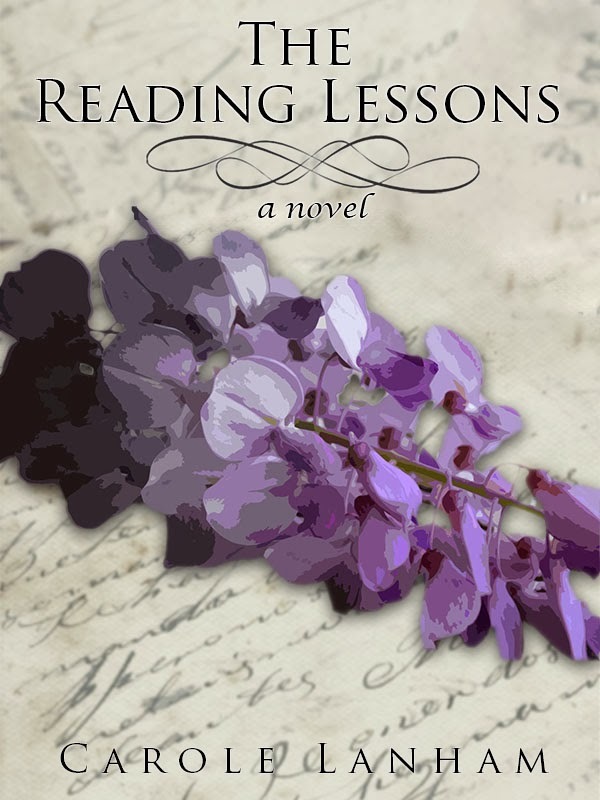 If you don’t have a copy of Carole Lanham’s novel yet or if you are not already convinced to buy one you can enter in a Goodreads giveaway for a chance to win one of the four trade paperback editions of “The Reading Lessons” offered as prize there. The giveaway ends on February, 14th and is open to the residents of United States, United Kingdom, Australia and Canada and you can follow this link to enter into the competition. Good luck to all! Mississippi 1920: Nine year old servant, Hadley Crump, finds himself drawn into a secret world when he is invited to join wealthy Lucinda Browning’s dirty book club. No one suspects that the bi-racial son of the cook is anything more to Lucinda than a charitable obligation, but behind closed doors, O! she doth teach the torches to burn bright. What begins as a breathless investigation into the more juicy parts of literature quickly becomes a consuming and life-long habit for two people who would not otherwise be left alone together. As lynchings erupt across the South and the serving staff is slowly cut to make way for new mechanical household conveniences, Hadley begins to understand how dangerous and precarious his situation is. The Reading Lessons follows the lives of two people born into a world that is unforgiving as a Hangman’s knot. Divided by skin color and joined by books, Hadley and Lucinda are forced to come together in the only place that will allow it, a land of printed words and dark secrets. Short fiction has a hard living. Despite very often being more efficient and effective, short fiction tends to be neglected in comparison with its longer relative. It is no different in Romania or if we are to examine more closely the issue there can be found a world of difference. There are a handful of genre magazines on the Romanian market that make a stand for the speculative fiction in particular and reading in general. But most of these magazines live on the online medium and as praiseworthy as their efforts are too many times it looks like Sisyphean work. Casting an eye on the important online publications from the English genre market one can notice the professional and semi-professional rates operated by most of them or at least some sort of compensation is offered to the writers. In Romania, with an exception or two, such a well-deserved compensation for the writers is non-existent. Not that the magazines do not desire to offer such material appreciation for the published authors, but they do not make any sort of money from publication, advertising or a different sort of revenue. It is voluntary work at its finest, but also a dire and sad situation. However, I like to maintain my optimism even in what seems like times of little hope. I like to believe it is not mere wishful thinking, all our writers, all these magazines and editors continue to put their efforts behind these projects and in the end that has to count for something, the entire circumstances must begin to change. Someday things must move towards normalcy, the writers and editors must be valued as they deserve to be. I do hope that starts to happen sooner rather than later. 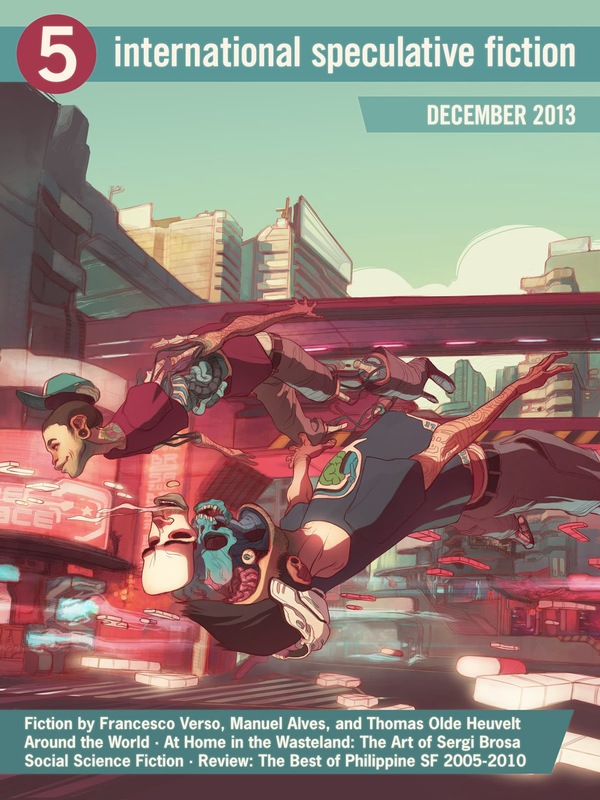 One example of such endeavor is Gazeta SF (The SF Gazette), an online magazine of speculative fiction and art, supported by a group of writers, editors and fans, which celebrated three years of existence in December. Three years of bringing each month on the Romanian speculative fiction market short stories of quality, essays, articles and opinions about the genre. Three years of making a difference for the local genre. To celebrate this milestone Gazeta SF’s editors put together an anthology of 32 of the best stories published in the first three years of the magazine’s existence. “Zeeler’s Boomerang” (Bumerangul lui Zeeler), as is entitled this anthology, is available for free, in a PDF format, due to our unfortunate situation I mentioned already. I hope though that the editors would consider putting into print this very interesting collection, perhaps in a limited edition for those who would like one such book, and maybe in the near future even making an English edition to promote our established and new writers of speculative fiction outside Romania’s borders too. Who knows, maybe I can see both my wishes fulfilled. To see all my hopes expressed here realized would be even better. In a quiet corner of the Imperial City, Investigator Narin discovers the result of his first potentially lethal mistake. Minutes later he makes a second. After an unremarkable career Narin finally has the chance of promotion to the hallowed ranks of the Lawbringers - guardians of the Emperor's laws and bastions for justice in a world of brutal expediency. Joining that honoured body would be the culmination of a lifelong dream, but it couldn't possibly have come at a worse time. A chance encounter drags Narin into a plot of gods and monsters, spies and assassins, accompanied by a grief-stricken young woman, an old man haunted by the ghosts of his past and an assassin with no past. On the cusp of an industrial age that threatens the warrior caste's rule, the Empire of a Hundred Houses awaits civil war between noble factions. Centuries of conquest has made the empire a brittle and bloated monster; constrained by tradition and crying out for change. To save his own life and those of untold thousands Narin must understand the key to it all - Moon's Artifice, the poison that could destroy an empire. Lately there seems to be a new trend on the rise, there are a couple of titles that mix the epic fantasy with the mystery genre, putting together their elements for new forms of plot and stories. 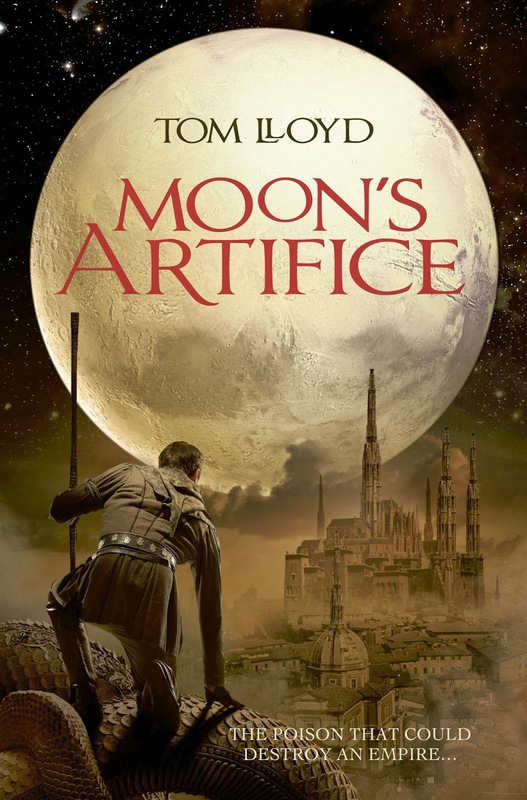 And when sword and sorcery is thrown into the blend you can get a novel as Tom Lloyd’s “Moon’s Artifice” as a result. In what seems to be a routine night Investigator Narin knocks unconscious an unknown, enigmatic man. Very soon after this event one of empire’s Gods enters into the scene and Narin finds himself with a mystery on his hands. Following a separate incident Kesh, a young woman with her life thrown upside down and threatened with death, is brought together with Narin, his friend Enchei and the enigmatic man, who discovers that his memory is wiped clean after the events of the night of his chanced encounter with Narin. The four of them are shortly on a mission of untangling the threads of the mystery at hand, but as they soon learn on a race against time for saving the people of Imperial City. These four characters are also the main cast of the novel. Narin is an investigator within the empire’s law forces, a commoner with a promising career ahead of him, but also with a secret that could compromise it for good. 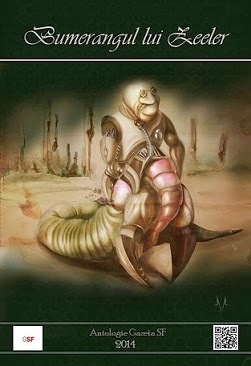 Enchei is Narin’s friend and mentor, with fighting skills and prowess coming from a dark and secretive past. Kesh is a young woman with her existence twisted cruelly by latest events of her life, but whose qualities, feelings and resilience made her the best character of the novel for me. Irato, the mysterious man, is the heart of the mystery and the trigger that sends the domino tiles tumbling and scatters the pieces of the puzzle only to help putting them together. As I said, Kesh became quickly my favorite character of “Moon’s Artifice”, although her presence is not as important as Narin’s or Enchei’s she still seems to walk upon the morality’s grey shades more often than them and in spite of the fact that Narin and Enchei have dark secrets buried behind them, hidden things with the potential of making these characters ambiguous in terms of righteousness. These secrets, however, in the end, affect less the characters, have surprisingly little importance on the entire canvas of the novel and touch only slightly the general plot. It is only a small complaint, but I have to make considering the unfulfilled potential of this aspect of the story. From the same little inconvenience suffer the side characters. Starting with Lawbringer Rhe, an almost god figure among the law forces of the Empire and mentor of Investigator Narin, to Synter, one of the negative characters, and Ayel Sorote, a member of the Imperial house holding interest in the matters at hand, they hold a promise that in the end is failed. The impeccable and immaculate Rhe manifests a very interesting internal conflict, capable of changing things around the law forces but also within the Empire, but this turmoil comes only at the end of the novel, when it’s too little too late. Synter is too much of a bad character, too much used to emphasize the negative aspects of the opposing side despite that she is one of the characters keeping the things engaging. Ayel Sorote is even more disappointing from my point of view. Another appearance shrouded in secrecy (although he is the author of the chapter entries revealing the history of the empire, so one could guess his occupation to a certain extent) he holds the potential of bringing the political games and intrigue into play and that with have for certain added more spice to the plot. But in the end he proves to be just a means to an end, especially when this entire possibility of intricate political game is thrown to the side by an interest in the city’s well being, an unanticipated path considering the efforts Ayel Sorote made in keeping himself as indecipherable as possible. Of course, since a second novel with the same characters and in the same world was recently announced it might be possible that my small complaints would be rendered void, but taking into consideration that “Moon’s Artifice” is a novel that can stand on itself I’ll keep them on their feet. What I’ll also keep standing tall is my admiration for the world within the events of the story take place. Confined to the walls of one city Tom Lloyd still creates the sense of a large setting, a wide world these characters inhabit. Imperial City, the heart of the empire, is a complex and wide settlement reflecting the way the empire is governed and the layout of its vast conquered lands. Each important house with an important role within the empire’s politics has a section of a city that reflects the features and characteristics of their home land. It is a fascinating cog in the novel’s world mechanism and I could almost picture the amalgam and complexity of such a city. Add to all these the Docks or Coldcliffs, for example, as some kind of neutral ground and it will result a truly imaginative setting. The complexity of the empire and of Imperial City is reflected in the society’s hierarchy and the social stratification of its inhabitants. It is a world where the personal heritage is hard to escape, the lineage, position and occupation being clearly stated through tattoos made on each person’s skin, even if they are allowed or not to use guns can state a position within the society. But that is not the singular element that keeps the social classification in a status quo, each caste contributes to the situation by the fierceness with which it guards its group indifferent of their position, be that of nobles, imperial servants or barge drivers. The religious aspects are as elaborate as the empire’s geography, city’s pattern or caste organization. The ruling family built the Empire of a Hundred Houses on the bones of an older one and the Imperial City on the ruins of a previous one. At some point in the history of the empire a secret of the previous civilization was unearthed, the Emperor and Empresses discovered the secret of godhood and in time ascended to the heavens. The old deities still manifest themselves, demons roam the city and the new gods keep an eye from above on the things running in the world. Almost all of them will also have a role to play in the conflict of the story, a plot derived from the religious aspects and the hunger for power. The mystery at the core of the novel is unraveled gradually with every piece of the puzzle coming nicely into place and keeping the reader entirely interested in the development and outcome of the story. There are no loose threads to hang around the plot, everything is wrapped nice and tightly. And the package comes with plenty of action scenes, fighting in small rooms and alleys, chases over streets and rooftops, underground ventures and daring rescues, sword and sorcery characteristics to make things even more exciting. My only problem with long running fantasy series is that sometimes I catch sight of one that proves to be interesting to me when it reached its half-way through or two or three of its volumes are already published and in this situation getting up to date with the reading of a started series, more often than not, ends sacrificed in favor other books. As is the case for me with Tom Lloyd’s “Twilight Reign”, a series I became aware of after the release of “The Grave Thief”, but that was every single time left to the side because that was already its third volume. Therefore when Tom Lloyd’s new novel, “Moon’s Artifice”, independent of his series, was published I jumped on the occasion to finally discover his writing. And I was not in the least disappointed, the mix of epic fantasy, mystery and sword and sorcery is remarkably used to create a compelling and engaging reading. Since I’ve begun to assemble my thoughts about the books I read in a more concrete manner one of my regrets (fortunately these are very few) is that I didn’t manage to write a proper review of Mike Carey, Linda Carey and Louise Carey’s “The Steel Seraglio” or as it was published in the UK, “The City of Silk and Steel”. “The Steel Seraglio” was one of my most rewarding reading experiences of the past several years, a novel of such beauty and originality that left me breathless. And full of regret too, since I never found enough time and energy for putting a proper review on the paper after I finished reading it. However, I can easily take comfort from the excuse this situation gives me to re-read this wonderful novel. Until I manage that though, I will have a chance to delight in another book born out of the collaboration between Linda, Louise and Mike Carey, “The House of War and Witness”. I had the opportunity to listen to a fragment of this new novel being read by Linda Carey at the World Fantasy Convention last year and I was hooked. Actually, that already happened once I learned of this new novel, the reading only pulled me even more towards “The House of War and Witness”. This week, Gollancz revealed the cover of Mike, Linda and Louise Carey’s “The House of War and Witness” and while I am not thrilled with it, I am not complaining either. Don’t get me wrong, I love the house, the sky and the contrast of colors between the two. I always had a weakness for historical weaponry and the presence of the just fired rifle satisfies this pleasure of mine. But although I am inclined to like it I’ve seen this approach on the book covers before and always I had the feeling that this is the easy way out. I completely understand the marketing reasons behind such choices, I am also perfectly aware that each cover has such marketing studies at its base, but I still like the book covers that are a story on themselves. Not a random story, but one coming from within the pages of the book, a little something to give me a taste sample of the things inside the covers, powerful enough to send me in pursuit of a bigger spoon to scoop all in. It is a difficult task, I know, but it is this kind of book cover that I love the most. 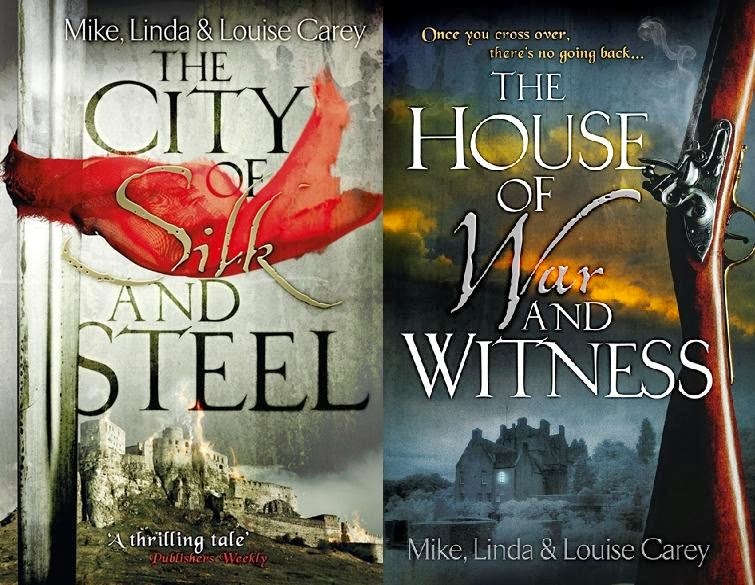 If I am not totally happy with the cover of Mike, Linda and Louise Carey’s novel I am pleased to see that Gollancz went for the same line with the covers of “The House of War and Witness” and the paperback edition of “The City of Silk and Steel”, due to be released on May. 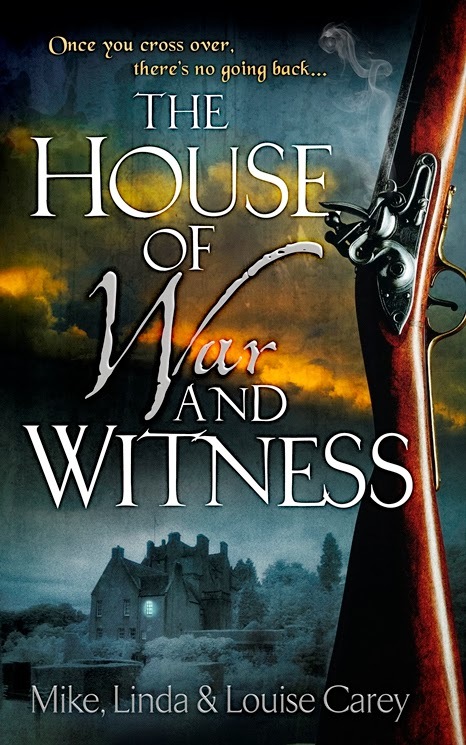 And in the end, in this particular case, no matter how much I like or dislike the cover one thing is for certain, I am eagerly waiting to start reading Mike, Linda and Louise Carey’s “The House of War and Witness”. Battle-hardened soldiers, a village with secrets and the lost souls of a timeless house collide in this stunning historical fantasy from the acclaimed authors of THE CITY OF SILK AND STEEL. When a company of Austrian soldiers is sent to the village of Narutsin to defend the border, they find the previous garrison gone, the great house of Pokoj a dilapidated ruin, and the villagers sullen, secretive and belligerent. Convinced the villagers are keeping secrets - and possibly consorting with the Prussians - the commanding officer orders his junior lieutenant, Klaes, to investigate. While Klaes sifts through the villagers' truths, half-truths and lies, Drozde, the quartermaster's woman, is making uncomfortable discoveries of her own - about her protector, about Pokoj and about herself. Quick-witted and sharp-tongued, Drozde is popular throughout the camp for her salacious and entertaining puppet shows. All her life, she has been in control, but as Narutsin gives up its secrets, it becomes clear to Drozde that she dances on Fate's strings as helplessly as anyone else. I grew very fond of several collections of year’s best fiction in the recent years. Ellen Datlow and Stephen Jones are veterans of such anthologies and in time their yearly collections proved an important source of excellent reading materials, so there is no wonder that year after year “The Best Horror of the Year” and “The Mammoth Book of Best New Horror” are high on my reading list. Recently I was happy to see being born and to delight in “The Year’s Best Australian Fantasy and Horror” and “Imaginarium: The Best Canadian Speculative Writing”, two yearly collections that gathered some of the best Australian and Canadian short stories and highlighted quite a few very interesting and talented writers. Last, but not least, Paula Guran’s “The Year’s Best Dark Fantasy & Horror” made its way into my list of preferences, not because it joined a catalog of similar titles, but because it brought into attention of the readers different short stories than the other collections. Of course, all these year’s best collections are subject to personal choices and since reading is an intimate experience for every reader not all the selected stories might seem like the best that were published in a particular year. From my experience, however, each of such collections I enjoyed reading comes pretty close to achieving perfection and every time I was left with a completely satisfactory reading experience. 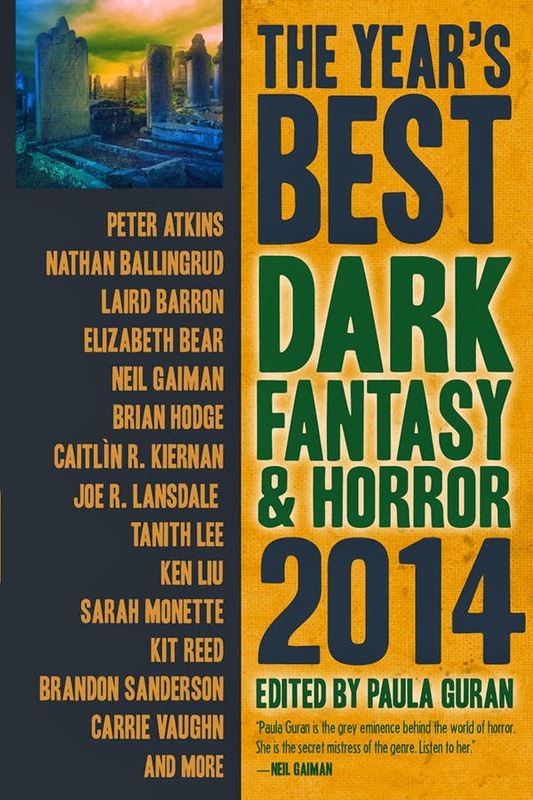 And if Paula Guran’s “The Year’s Best Dark Fantasy & Horror” is the last collection I mentioned from my list of favorites it is also the first to announce its 2014 line-up. By the looks of it there are plenty of reasons to support another strong entry in the panoply of year’s best collections. No matter your expectations, the dark is full of the unknown: grim futures, distorted pasts, invasions of the uncanny, paranormal fancies, weird dreams, unnerving nightmares, baffling enigmas, revelatory excursions, desperate adventures, spectral journeys, mundane terrors and supernatural visions. You may stumble into obsession or find redemption. Often disturbing, occasionally delightful, let The Year’s Best Dark Fantasy and Horror be your annual guide through the mysteries and wonders of dark fiction. International Speculative Fiction is a bit shaky in its appearances, but when each issue is the result of voluntary work the praiseworthy efforts of the magazine’s team might be trampled by day to day events. However, the most important thing is that this magazine continues to exist, with its latest issue, the 5th, released the past week-end. In this issue we can read two short stories, “Two Worlds” by the Italian writer Francesco Verso and “Atomic Heart” by the Portuguese writer Manuel Alves, the Hugo Award nominated novelette “The Boy Who Cast No Shadow” by the Dutch writer Thomas Olde Heuvelt, plus a series of non-fiction including an article by Hunter Liguore, “Social Science Fiction”, a round-up of news from around the speculative world gathered by Nas Hedron, a review by Sean Wright of the anthology edited by Dean Francis Alfar and Nikki Alfar, “The Best of Philippine Speculative Fiction 2005-2010”, and an interview made by Saul Bottcher with the Spanish artist Sergi Brosa, responsible for this issue’s cover art. The 5th issue of International Speculative Fiction magazine is available for free in PDF format, with the epub and mobi files due to be ready for download very soon. Here is to an amazing 2014!